After hearing "Wanted" I knew I had to buy the rest of this album, and I wasn't disappointed. "Heavy" is one of my new favorites. We have updated Holly Brook Heavy lyrics on Friday December 26, 2014. If you would like to submit any corrections to Heavy song lyrics, please use our contact form. 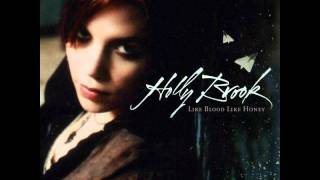 Holly Brook song lyrics, video, lyric-scroller, news and discussion for 'Heavy'.